PHOENIX, AZ--(Marketwire - December 11, 2008) - Olivene, a PetSmart (NASDAQ: PETM) associate's Yorkshire Terrier, spends time at PetSmart participating in all there is to do this holiday season. In this last segment of a three-part microvideo series, Olivene visits Santa Claws at her local PetSmart for holiday photos. 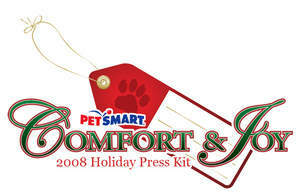 PetSmart offers pet parents the chance to spread holiday cheer and share photos, traditions and fun with other pet parents online. Whether posting a "brag book" of holiday pet photos, sharing favorite pet-friendly holiday recipes or talking about holiday traditions, PetSmart offers pet parents places online to celebrate holiday fun. In this last segment of a three-part microvideo series, Olivene, a PetSmart associate's dog, visits Santa Claws at her local PetSmart for holiday photos.